In March 2014 we became home owners. Since moving in, we have been busy turning our house into a home. 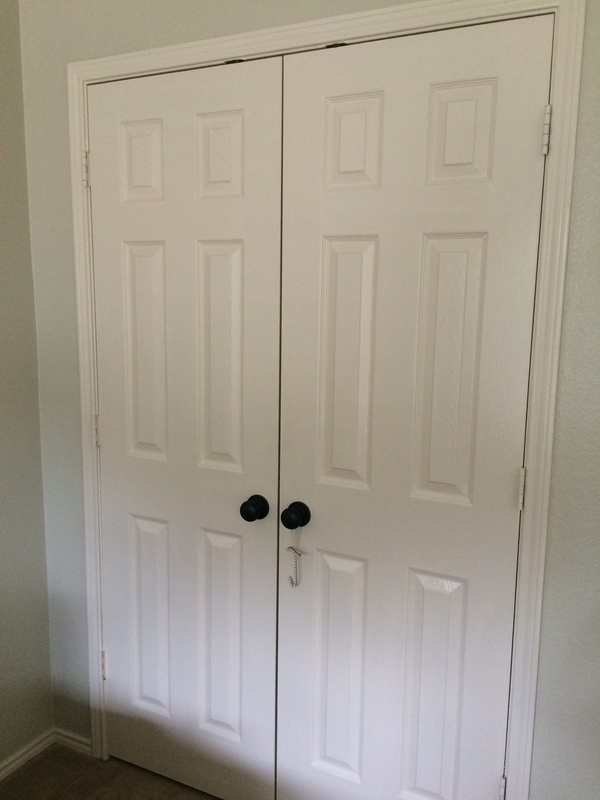 When walking through our house during the home buying process we noticed that our upstairs bonus room had a double door closet. 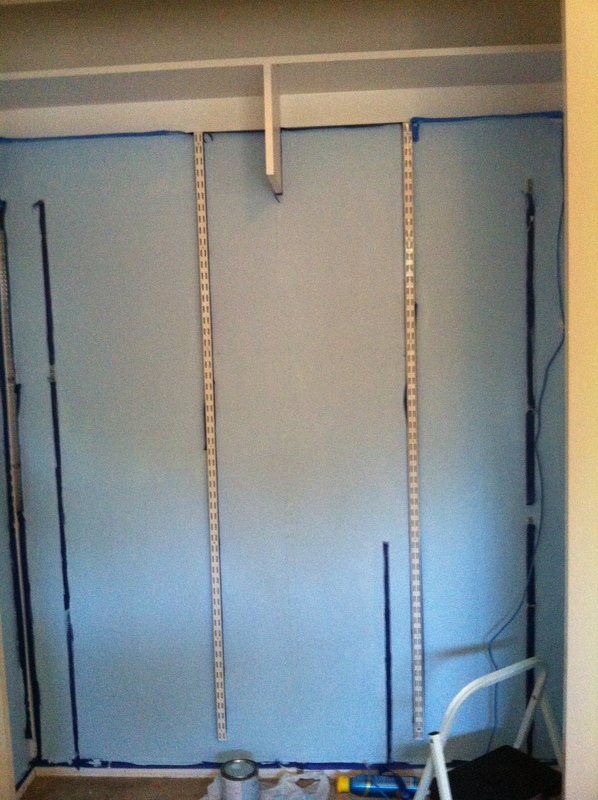 Inside this closet was a set of built-in shelves. 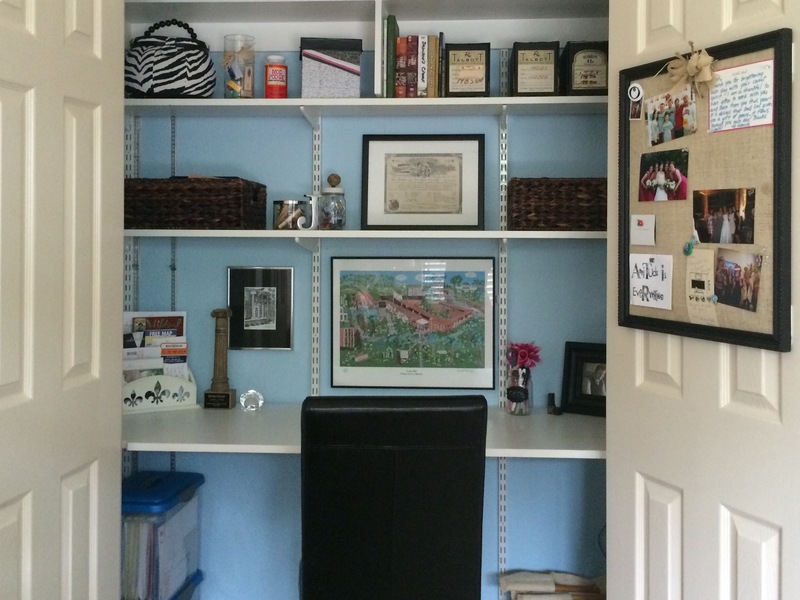 While we had planned for the hubs to have an at-home office in one of the spare bedrooms, I wondered why this closet couldn’t become my “office”. Soon after school let out last summer I got busy planning and choosing a paint color. I should probably tell you that I love everything neutral. My design motto should probably be “50 shades of beige”, adding in color through accessories, of course! But, I decided that this space should be a little brighter and more cheerful than greige (gray-beige). Cue, blue! I taped off the built in shelves and closet walls and got busy painting. Not the best lighting in this photo. After painting and replacing the shelves, it was time to do what I love most, decorating! 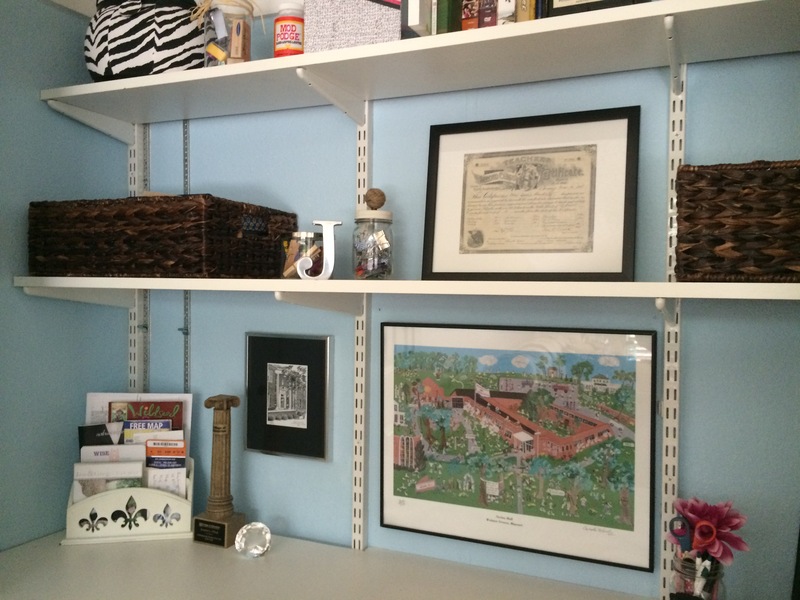 A few mason jars, baskets, craft supplies and frames later my “office” was finally complete. 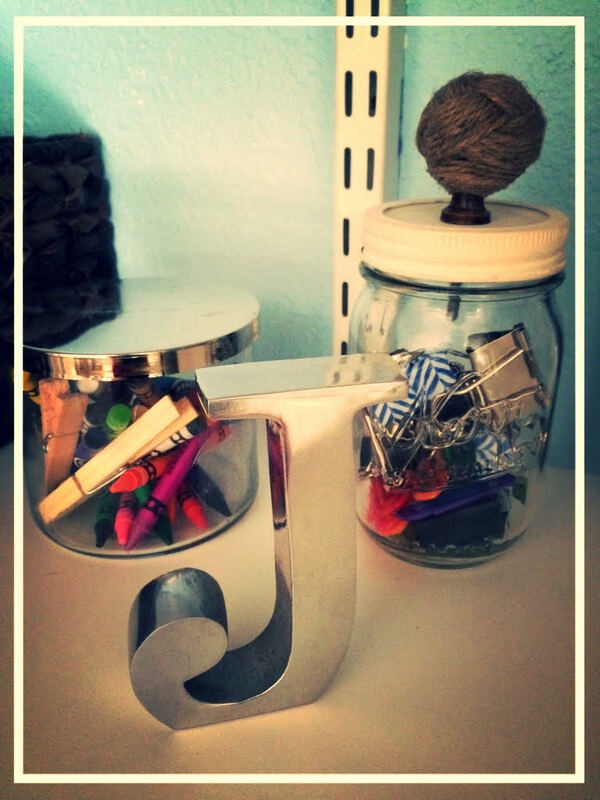 Decor Tip: Fill your work space & living spaces with items that make YOU happy! I have my great, great grandma’s teaching certificate framed on the second shelf. I knew my “office” would be the perfect place to craft, grade papers, write emails and now…blog! What I learned? 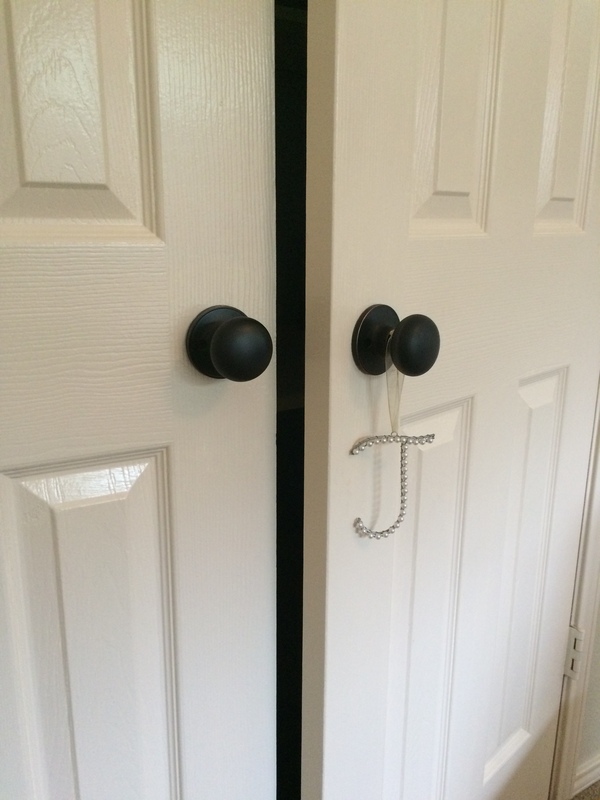 Never underestimate the potential of a closet. You never know what may be just behind lucky door number 3. Love this Jen! Such a creative use of space and the color is perfect. My favorite is your grandma’s certificate! 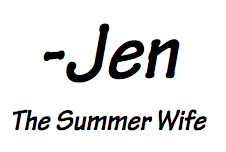 Wow Jen — what a transformation! We are so enjoying reading your blog and love your ideas. We’ll pass your Blog to our Root’s customers!